Jim Carrey Criticizes U.S. Government For Allowing Big Pharma To Influence Policy..
Jim Carrey slams Big Pharma for its influence on the U.S. government. Comedian and actor Jim Carrey has been making a name for himself as an activist in recent years as he attacks the government for the influence big corporations have on it, and lately his attacks have been directed at Big Pharma’s monetary leverage over policy and legislation. Carrey’s voice on this topic has become louder ever since his well-publicized relationship with anti-vaccine activist Jenny McCarthy, who believes her son’s autism was caused by his exposure to vaccines. Though their relationship came to an end 6 years ago, Carrey has formed a strong stance on his beliefs with regards to vaccines. Though he is pro-vaccine, unlike McCarthy, he affirms his position as being anti-neurotoxins. 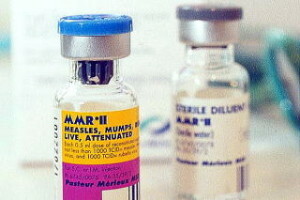 His stances on the matter are not without base, as thousands of cases of harm caused by vaccines have been reported. Carrey said, “There is no question that many of these vaccines have been among the greatest medical advancements in history. There is also no question that vaccines can and do injure people as the hundreds of millions of dollars awarded in vaccine court have proved.” The court that Carrey is referring to is the Office of Special Masters of the U.S. Court of Federal Claims. This court was specifically created to assess cases that are reported in which people claim that vaccines have harmed them or loved ones. In 2014, the Associated Press released their findings on the court’s decisions in the past and conducted over 100 interviews to get to the bottom of the court’s process. What they found was unsettling, beginning with the fact that the last update on cases was released in January 2013, and that the court refused to release any new updates. The court also used taxpayer dollars to pay private attorneys that represent the interests of the claimants and these attorneys are paid regardless of whether or not they win the case for the citizen, which allows for attorneys to not put as much effort or research into cases. They’re also given a monetary incentive for over-filing cases regardless of the quality of the claim because they receive money no matter what. AP also found further possible corruption with these private prosecution attorneys, as many of the expert witnesses they have used to speak for the families and against the use of vaccines have work that has been largely discredited. These “experts” have plagiarized work and even set up their own nonprofits that question vaccine safety, showing that they are heavily biased. On the other side, the government’s defense expert witnesses are doctors with ties to pharmaceutical companies, which benefit directly from the continued use of vaccines. Lastly, Carrey criticized the government for making broad health decisions for its citizens, especially considering how much of an impact Big Pharma’s monetary contributions have on the government’s decisions. As Carrey reports, “Over the past 20 or so years, pharmaceutical companies have given nearly $300 million to candidates for federal office, spent almost $200 million influencing California state elections, and have amassed over $3 billion in fees for high-powered lobbyists in Washington.” These contributions are then used as leverage when the politicians win and need to vote for or against policies that will affect pharmaceutical companies. These contributions are affecting legislative decisions based on money and not scientific proof that these drugs or companies are in the best interest of citizens. The actor pointed out that it’s unacceptable for the government to enforce a set health regimen for every child when there are other laws in support of allowing citizens to make their own health decisions regarding their body. He says that it “is particularly troubling when questions still remain concerning the safety of certain chemicals used to produce some vaccines.” He’s referring to the mercury, or thimerasol, which is in the vaccines being injected into children. Carrey is asking that the pharmaceutical companies that produce vaccines to make the vaccines toxin-free, reaffirming that he is pro-vaccine but anti-neurotoxins. 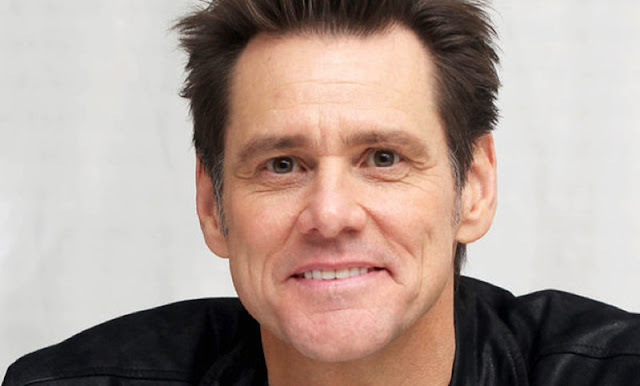 Comedian Jim Carrey wants people to know he hasn’t lost his sense of humor, but that “there’s a time to laugh and a time for a serious debate over what it could mean to have our civil liberties taken away by our government at the behest of pharmaceutical companies and their shareholders.” Of course there are many arguments regarding the CDC’s claims that there is no link between vaccines and autism and the issues of measles outbreaks since many began living a vaccine-free life. However, it seems as though Carrey is well-researched and genuinely concerned about the state of the government and the health of the citizens. Whatever your stance on the issue might be, Carrey implores people to question the science and the government instead of blindly accepting what the official reports tell us. What do you think? Does Jim Carrey raise some valid points? Is this just another story in a long line of conspiracy theories?